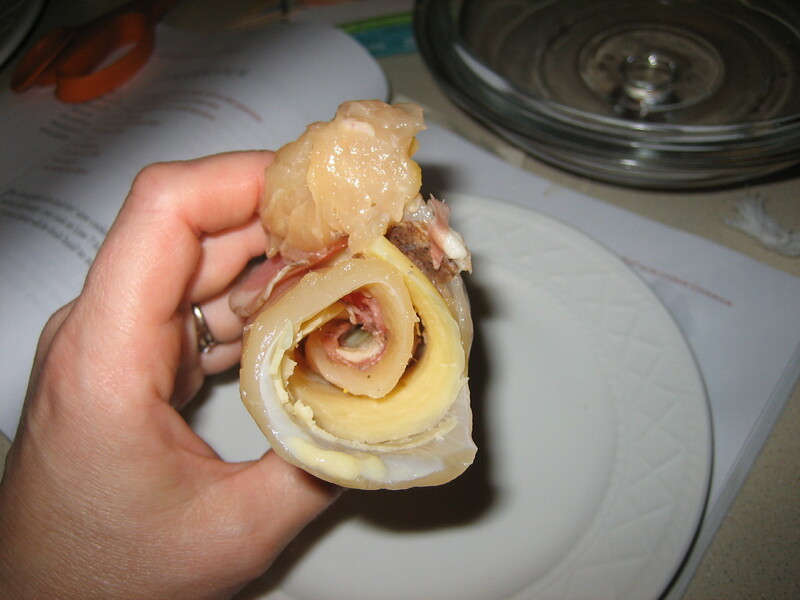 Years ago, as a missile field cook, a military cop made a request for chicken cordon bleu. He explained it was easy to make on the grill, but could have been speaking Greek for all I knew. I tried to follow his directions and when I delivered it on the plate, he smiled. It wasn’t perfect, but it made the cops happy when we tried to accommodate their requests. Roll them up, secure with a toothpick.